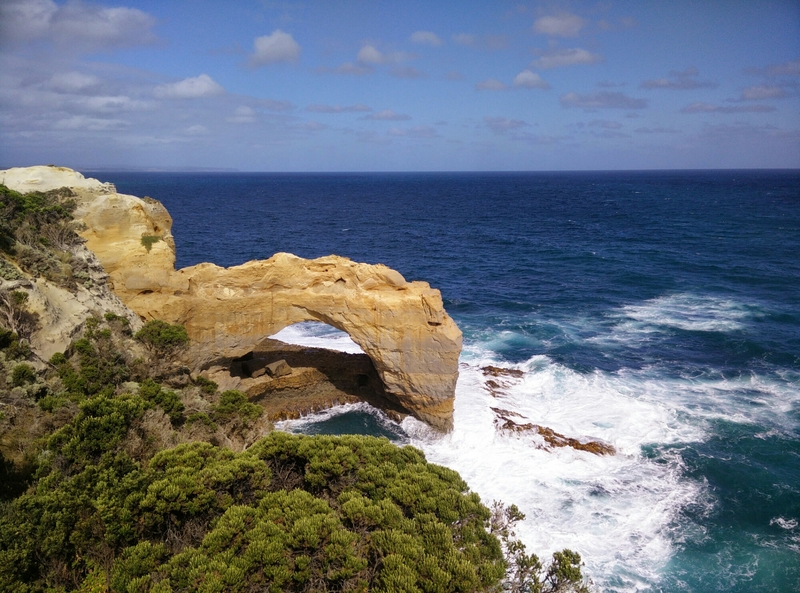 On the “must do” drives in the world, one will find The Great Ocean Road in southern Australia. 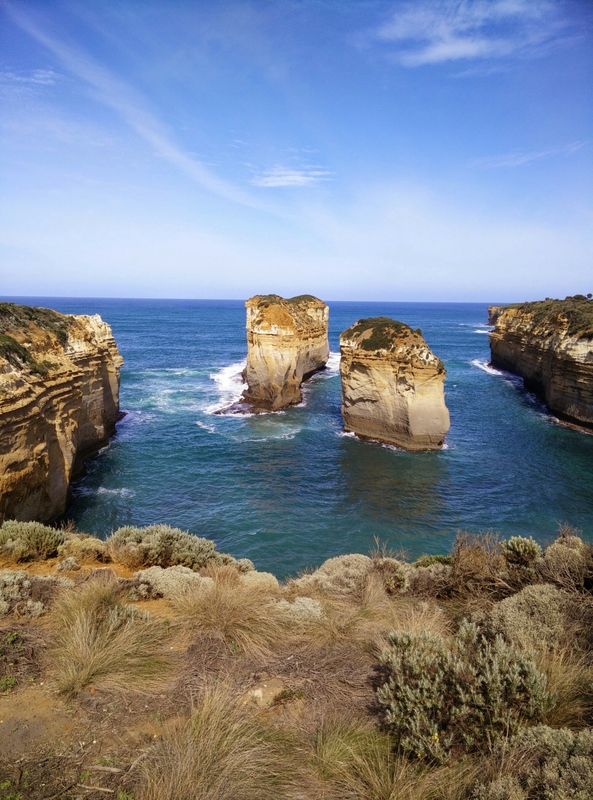 Similar to California’s A1 in its windiness and breathtaking views, it is part of the Limestone Coast with interesting cliffs and formations. On our way, we stretched our legs with a biking day. Unlike our recent bike tours where we were regarded as odd for wearing our helmets (odd for no other reason! ), here helmets are required. We biked past a surf posse, and I briefly wished to change sports. 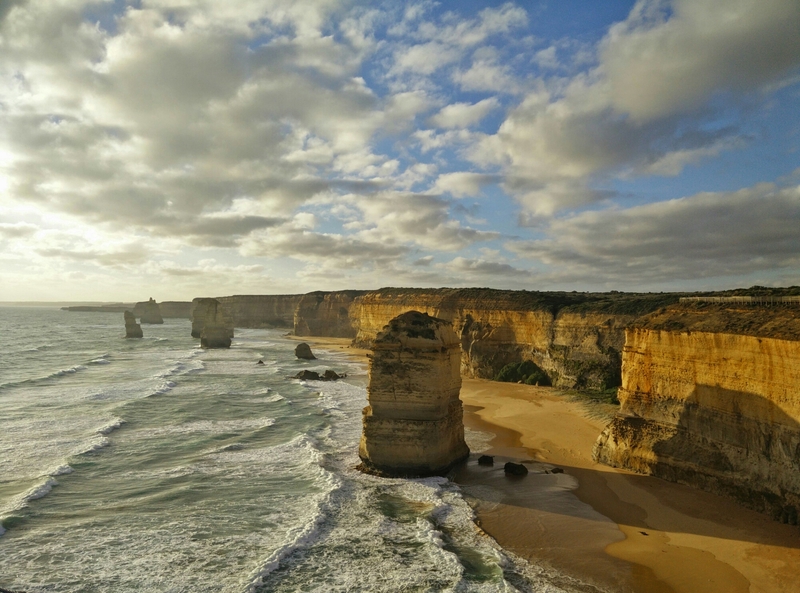 The main attraction of the Ocean Road is the Twelve Apostles rock formation – which is made up of less than twelve but is a religious experience for many. Since we’d done the road in the reverse direction (Adelaide to Melbourne), we’d seen many other beautiful rock formations before reaching the Twelve. This coast is also known as Shipwreck coast due to the surf and cliffs. Along the way we’d experimented with our accommodation, and of the hostel, B&B and AirB&B, our favorite was the AirB&B which made us feel like we had our own little house again. We also realized we weren’t sure which ocean we were looking at! 7 continents – check we know them. But five Oceans – Pacific, Atlantic, Indian, Arctic and… Google! Or maybe your memories are better. My guess is that Emily, George and Fritz don’t have to Google to know this one. And in case you also springboard to the 7 seas, apparently that is mostly fiction! I risk getting booted off my trivia team for admitting this, but I did not know the fifth. Google, however, tells me there’s a bit of an international tussle over the new one. On a slightly separate note, those are AMAZING photos of the coast. Wow!! Like totally awesome scenery. Wow!! !